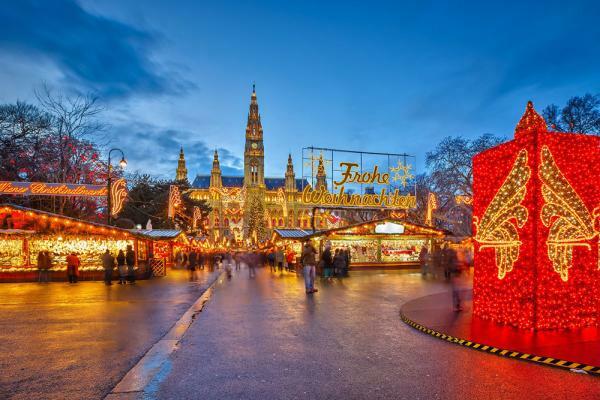 Enjoy a 13-day journey through Christmas Markets from Budapest to Prague! Few events are awaited with as much anticipation as Europe’s Christmas Markets. Be spellbound by Regensburg’s Christmas Markets. 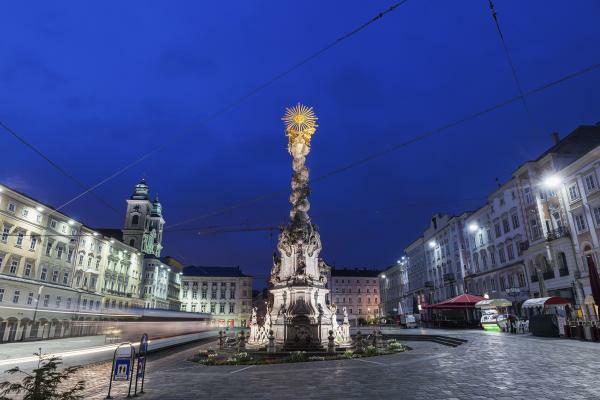 In Linz, marvel at the small clay figurines representing the people of a typical village—the butcher, the baker and the candlestick maker; and while in Vienna, visit four Christmas Markets. Embrace the holiday spirit in Germany and Austria where many Christmas traditions began on this magical journey through time. 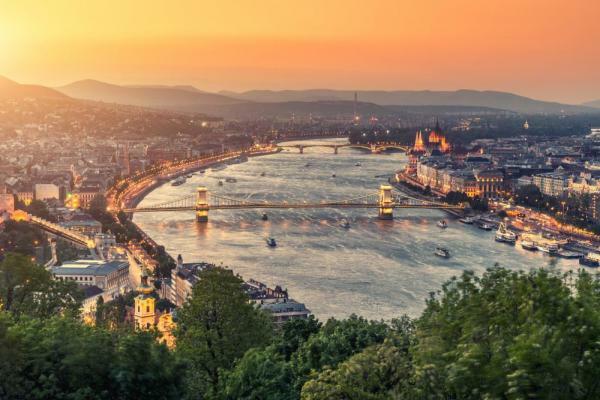 Once the co-capital of the Austro-Hungarian empire (along with Vienna), Budapest is one of Europe’s most regal and storied cities—and many of its most iconic sights can be seen right off the banks of the Danube. Today’s tour takes you to another side of Budapest to the Jewish Quarter, where there are some real treasures. The Great Synagogue, the largest Synagogue in Europe and the second largest in the world, located in Dohány Street represents the beating heart of this quarter. Other prominent attractions include the Holocaust Memorial, a weeping willow tree with the names of Hungarian Jews killed during the Holocaust inscribed on each leaf; and the Shoes on the Danube, a memorial to the Budapest Jews who were shot by Arrow Cross militiamen between 1944 and 1945. 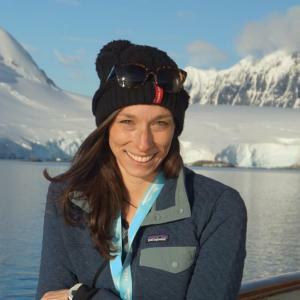 Check out of your hotel to board your luxurious ship. 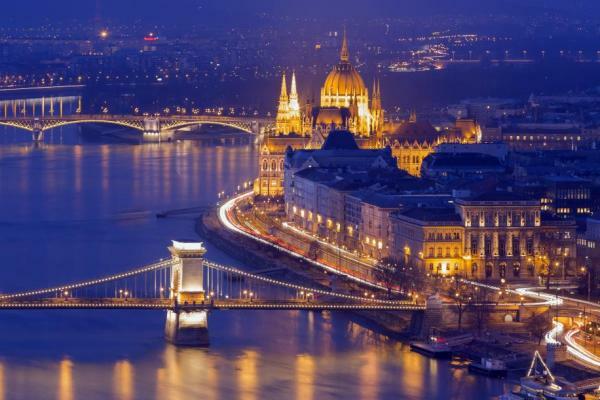 During the evening, be treated to a special Illuminations cruise around Budapest’s famed Parliament building as at night, the city virtually glitters as these landmarks are awash in lights. Home to several UNESCO World Heritage Sites, including the Buda Castle quarter in Castle Hill and Heroes’ Square, Budapest offers an unmatched combination of culture, tradition and even a secret labyrinth of caves and caverns under the city. Your city tour begins with a visit to the vibrant Great Market Hall brimming with vendors selling everything from food to souvenirs. The remainder of this tour takes you to both the Buda (hilly) and the Pest (flat) sides of the river. Afterwards, you’ll visit Vörösmarty Square, the oldest, richest and the most spectacular of all the Christmas markets in Budapest. 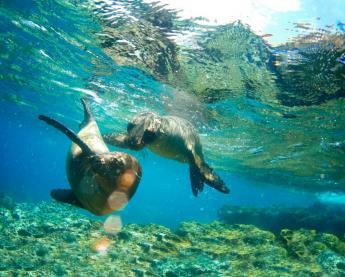 The “City of Waltzes” offers a treasure trove of gems just waiting to be discovered. 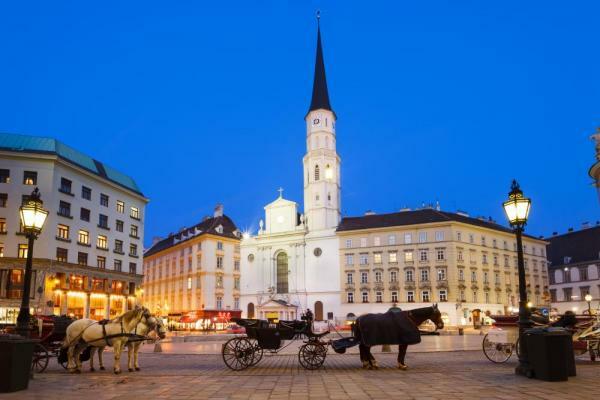 Join a tour showcasing its regal splendors, such as the majestic Opera House and the former Imperial Palace of the Habsburgs before concluding in Vienna’s historic city center. Afterwards, you'll visit the Rathaus (Town Hall) Christmas Market. If you prefer a more active adventure, then join a guided bike ride along the Danube. During the afternoon, visit the Karlsplatz (Artisans) Christmas Market, a local favorite, and the market at Schönbrunn Palace with a giant sparkling Christmas tree. 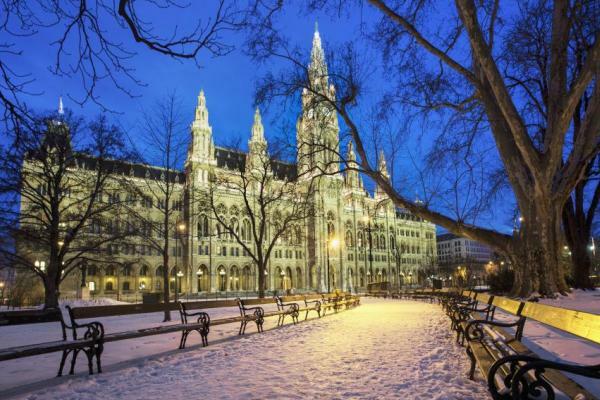 Cap the day off with "Vienna by Night" Christmas Markets at the beautifully decorated Maria Theresaplatz Christmas Market, set amongst the world-renowned sights of Vienna's majestic Ringstrasse, and at the illuminated Rathaus, Vienna’s largest Christmas Market. After reaching Weissenkirchen in the heart of the Wachau Valley, you’ll have a choice of excursions. Join a walking tour in Dürnstein and then be treated to a wine tasting hosted by a local vintner as well as visit a local boutique where you'll enjoy a tasting of special apricot treats. 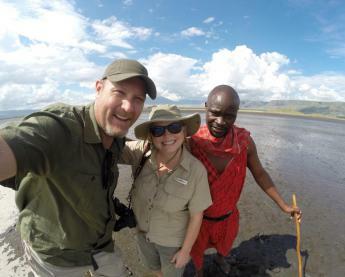 Prefer more active adventures? Join a guided bike tour from Weissenkirchen to Melk. For those not biking to Melk, you sail through the UNESCO-designated Wachau Valley to Melk. 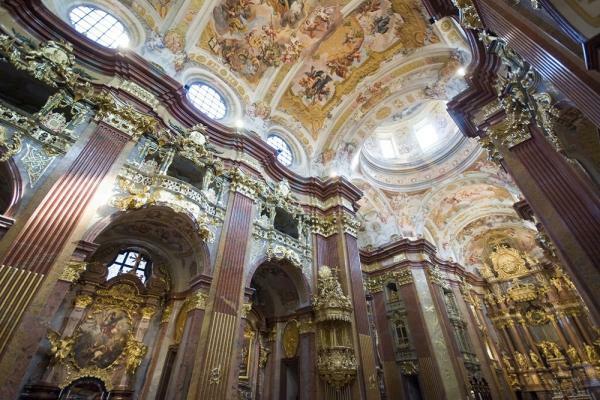 Once in Melk, you’ll visit its magnificent Benedictine Abbey, a UNESCO World Heritage Site and one of Europe’s largest and most revered monasteries, which now houses a museum chronicling its history and a famous library with countless medieval manuscripts. Linz is known for being the city of Christmas crèches and its ever-popular Linzer Torte. 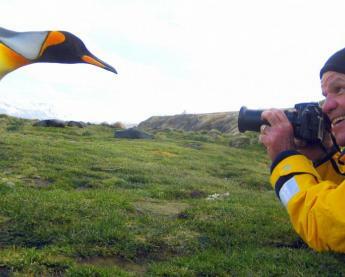 While here, you have a choice of three excursions. The first is a full-day visit to magnificent Salzburg dressed in her holiday best. Enjoy a walking tour of UNESCO-designated Old Town, its magnificent cathedral, inspired by St. Peter’s Cathedral at the Vatican and its Christmas Market, which is a feast for the senses. Alternatively, you can choose a morning walking tour through Linz’s old city center and by the Mozart House, where he composed the Linz Symphony in only three days, as well as visit Linz's Christmas Markets. Or you can go on a guided bike tour through Linz and along the city’s famed “Culture Mile” and the Danube. During the afternoon, you can join a half-day excursion to Salzburg or visit the charming mountain town, Český Krumlov, located just over the Czech-Austrian border. Picturesque Passau, a fairytale city founded more than 2,000 years ago is noted for its Gothic and Italian Baroque architecture. During the season of Advent, the city dresses in her Bavarian holiday splendor, which you will discover on your walking tour through the city and at its Christmas Market at St. Stephen’s Square— also home to its magnificent cathedral. Go in search of unique crafts, including Bavarian-style houses and glass ornaments. If you prefer a more active adventure, join a guided bike ride along the Danube. Later in the day set sail for Vilshofen, where you’ll be treated to an exclusive Oktoberfest celebration. Depart the ship and drive through the countryside to Regensburg, one of Germany’s best preserved medieval cities, which you’ll discover on a guided walking tour showcasing the city’s architectural highlights, including the Old Town Hall and the Porta Praetoria. After touring Regensburg, enjoy a visit to one of Bavaria’s most beautiful and romantic Christmas Markets at Thurn and Taxis Castle, where you can watch artisans make their unique arts and crafts. Later continue your journey on to Prague. Discover Prague with a choice of a city tour or a castle hike. Both will reveal why Prague is considered one of Europe’s most attractive cities, with a historic city center that’s recognized as a UNESCO World Heritage Site. See all the key highlights, including the National Museum, Wenceslas Square, the 1,000-year-old Prague Castle and Old Market Square, where you will find the famous Astronomical Clock. 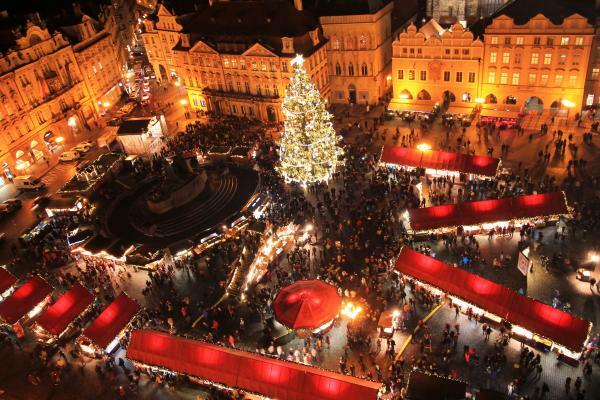 You will then have free time to explore Prague’s renowned Christmas Markets in the Old Town Square.